1Place all ingredients in a bowl and mix together until well incorporated. 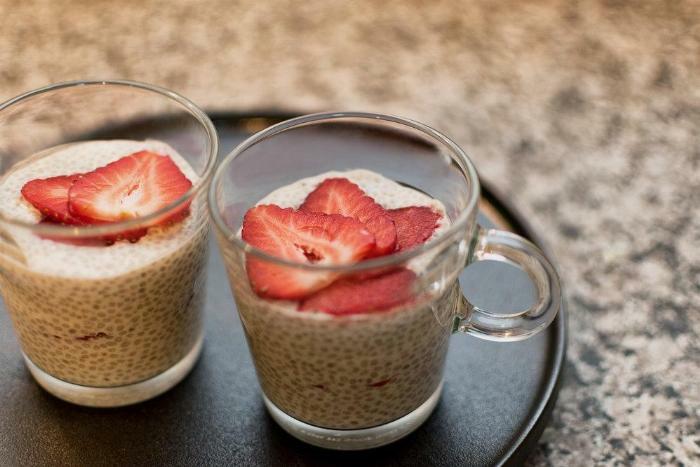 2Refrigerate the chia seed pudding, stirring after 5 minutes and again after 10 minutes to make sure that the chia seeds don't lump together. 3Leave in the refrigerator for at least an hour to allow the seeds to swell. This can be made the night before if you are having it for breakfast - enjoy!